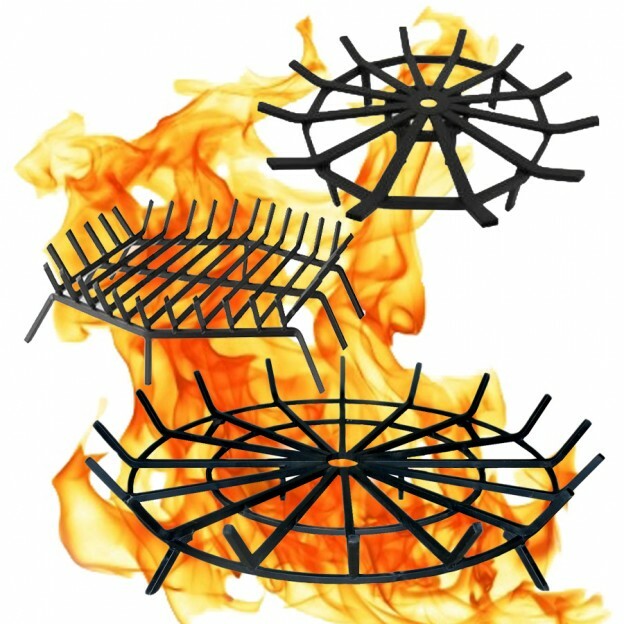 Fire pit grates come in four shapes: flat topped round (Ship’s Wheel), upturned edges round (Wagon Wheel or Spider), hexagonal grates, and square. 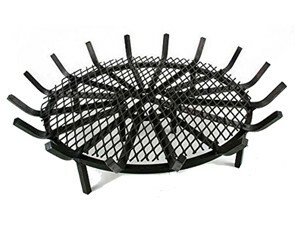 Some fire pit grates have a mesh screening that holds kindling and and smaller pieces of wood, providing a more thorough burn and less frequent ash clean-out. Why use a grate in your fire pit? Well, that’s because heat rises. 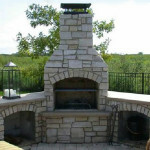 When hot air from your burning fire pit rises, it needs to be replaced by cooler air. 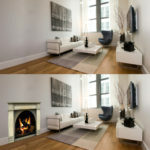 With a properly sized grate in place, you create an empty space for that cooler air to enter, underneath your fire. That cooler air enhances your fire’s draft as it becomes heated and rises, adding to the upward flow of hot air. 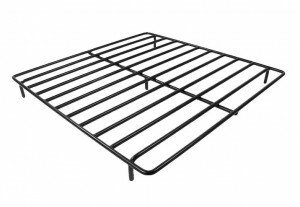 A fire pit grate can make it easier to light a fire in your fire pit because it gives you access to the space under your fire, where you want to put tinder and kindling. By blowing on hot coals that have fallen through the grate, you can often re-ignite a fire that has gone out. 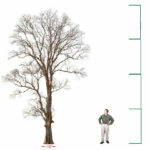 • First, measure the inside diameter of your fire pit. • Then, subtract 4 inches from that diameter or width to get the maximum diameter grate for your fire pit. 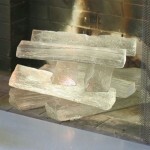 If you want a smaller size, just make it a bit larger diameter than the fires you expect to build. 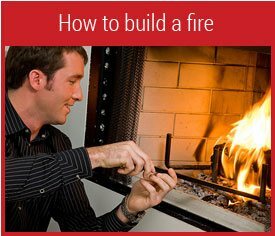 • Next, figure out how tall you want your fire pit grate to be. Your grate can be about 6 to 8 inches below the rim of your fire pit if you want the flames to be above the fire pit’s opening. 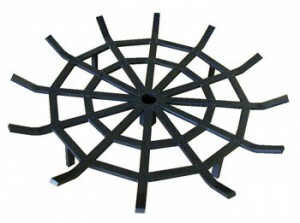 A grate about 12 to 15 inches below the rim of the fire pit will keep the flames mainly down inside the fire pit. This arrangement is good for conversing with friends across the fire pit. You can adjust the height of fire pit grates by making a fire pit deeper or shallower by adding or subtracting gravel at its bottom. 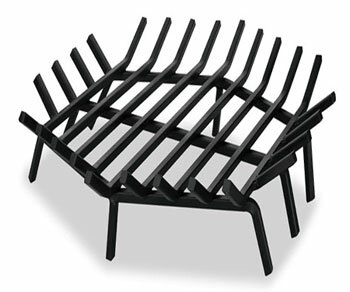 The heavier the steel bar, the longer your fire pit grate will last. The smaller the steel bar, the less you will pay for your grate. 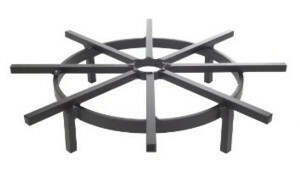 The strength, and therefore the durability, of a fire pit grate is directly proportional to diagonal measure of the steel bar from which it is made. 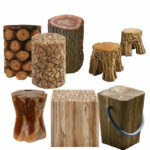 Below is a table of common bar stock sizes of fire pit grates.